Quantor is a marketplace of investment algorithms and educational solutions for cryptocurrency and traditional financial markets. Quantor ecosystem implements an accelerator for algorithmic traders supporting them in developing investment algorithms for a decentralized economy. The effectiveness of the platform is achieved through continuous professional training of algorithmic traders, providing them with educational solutions of modern information technologies, financial engineering and algorithmic trading from well-known experts. Transparency of the ecosystem is ensured by the use of blockchain technology. The records of trading algorithms performance, statistics of all trading algorithms development stages, and developers’ professional background are stored in a distributed ledger (blockchain). Welcome to the official thread of Bounty Quantor Campaign! Participants of the Bounty Campaign are awarded with QNT tokens. The total number of QNT tokens to be issued is 2,000,000,000. The base price of one QNT token without discounts is set at the level of $0.01. *Bounty Campaign will run until the end of main token sale OR until all bounty tokens will be distributed. 1. The registration of multiple accounts is prohibited. For the use of multiple accounts, violators will be disqualified. 2. Bots, autoposting, spam, trolling and abuse are not allowed and will be considered as a violation of the Bounty Campaign. This behavior will automatically disqualify you from the Bounty Campaign, and you will no longer be able to earn QNT tokens. 3. Bounty Campaign will be conducted weekly. After each week as per above mentioned schedule, we will review your reports for awards, quality of content and participation in social networks, and we will award tokens to you. Please note that the content for which you are applying for the award must be published and available before the end of the Quantor token sale +3 days after it. 4. The Bounty Campaign works on the principle of "first come first serve". When the number of all bounty tokens is exhausted, the Bounty Campaign will be closed. All rewarded tokens will be distributed in 4 weeks after closing the Bounty Campaign. 5. Participants need to subscribe to all Quantor accounts in every social network in which the participant is registered and/or participates in the bounty. 6. On Sunday before 24:00 UTC, you must report your results for the current week in this thread. 7. For the new week create new posts for your reports. Do not update your posts for the previous week. *The rules of the Bounty Campaign can be changed. 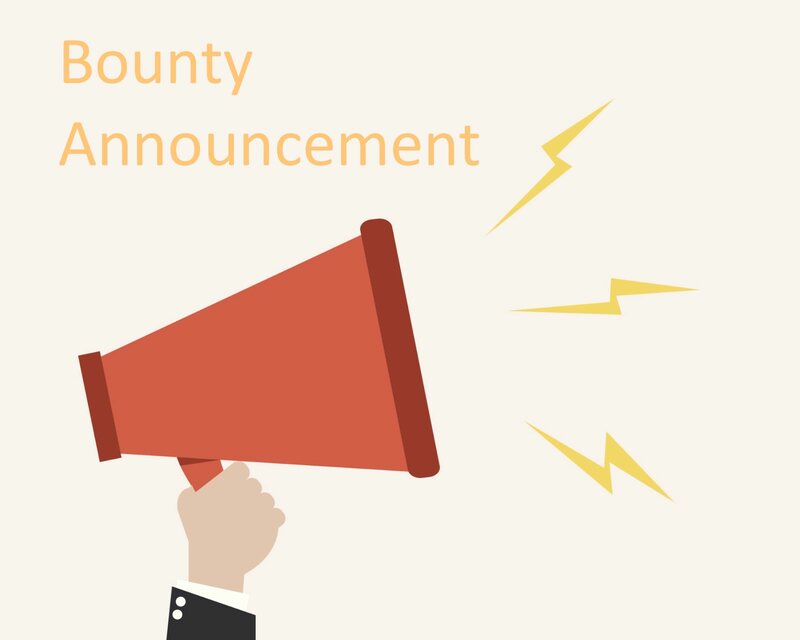 Bounty campaign is suspended from Monday, from next week, we will not count tokens for posts and reposts in social networks before the release of the text of the new program (but of course we will be glad if you continue to spread the information about the project). In the new version of Bounty, there will be a fee for registration and actions on the platform. Specific conditions and amount of rewards we will report later. Please PM or email me if you accept. You are not obliged to work for all 32 weeks. You can work as long as you want. More work - more reward. I just happen to the spreadsheet and I see I dint get stakes for week 3 even though I had submitted my report on time. Please recheck. Thank you.